It is an incredible product, it is perfect for every woman looking to look fabulous. Dior DiorShow Mascara is a long time favorite of mine. It makes my short and thin lashes look long and adds volume. It does not flake or smudge and stays perfect all day long. It also does not irritate my sensitive eyes. I can always depend on DiorShow Mascara to deliver a nice looking lash with no issues like those that are common with many other mascara brands. Performance This mascara performs very well for me. It coats my thin lashes and adds decent volume and length and truly transforms them from pathetic to lovely. It also does not clump my lashes together like some other brands do. I have no issues with the mascara flaking or smudging and it stays in place until remove it at the end of the day. 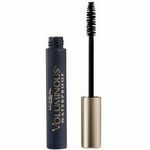 Ease of Application This mascara applies easily and quickly. It coats my lashes and keeps them separated so I don't have to waste any time trying to separate clumped lashes. The lash wand is just the right size to coat, lengthen, and separate the lashes but small enough to be able to find the nearly invisible ones too. By far the best mascara I have ever used!!! This mascara is a miracle worker. My lashes look lush, long, and beautifully dark. I love the effect is has on the look of my eyes. The mascara does not clump and the brush is just right. I am not a fan of thin or overly curved brushes and this brush is just perfect. The mascara itself is a beautiful color (I used the black). It does not clump or irritate my eyes. I actually tried this mascara after seeing it on a "best of" list. It is a little pricey but don't let that turn you away. It is worth every penny and then some. You will need to look in a department store or beauty supply store. Your local pharmacy or target/walmart will not carry this mascara but it is worth the time and the search! your lashes will thank you. It does not run, streak or wear off. It is also easy to remove with eye make up remover. Performance Works great. Great looking mascara for color that does not run, clot, or irritate my eyes!!!! Ease of Application Love the brush. It is perfect. The mascara goes on smoothly. For dramatic, show stopping lashes, DiorShow. 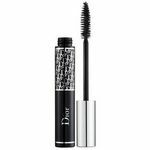 DiorShow mascara by the one and only, Dior, is a dramatic, very voluminous and lash-extending mascara. Personally, I have one in my mascara collection, though, I don't find it to be an everyday mascara. It's too dramatic; avant-garde, i'd say. The formula delivers with a huge impact on the lashes, almost like a doll effect. Good for fashion forward makeup looks and for a night out. My normal every day mascara is Chanel's discontinued "Exceptionnel de Chanel". It also delivers a full effect, but not as dramatized as DiorShow. Performance This well, fortified formula delivers an impeccable performance for long wear and keeps lashes full and voluminous through out the day without constant reapplying. I have both DiorShow's, in waterproof and regular, though the regular seems to have the best coverage and waterproof has a longer lasting stay. 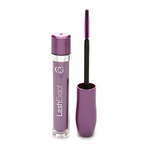 Ease of Application The mascara applicator is shaped just like most volumizing mascaras. Somewhat of a thick, christmas tree like shape. Very easy to use. I especially love the metal cap. very luxurious. This is the second Dior brand mascara that I've tried and have decided that they are not worth the extra money I pay for them. I find this one very clumpy and wet. It does not layer easy, and gives me the dreaded raccoon eyes look within hours after application. The Dior DiorShow Mascara is another one of my favorite mascaras. I don't have to reapply the wand on my eyelashes and it is easy to apply. My lashes are full, thick, and lengthened when I use this Dior Mascara. It's pretty expensive though, but the quality is certainly good! Absolutely love this product! It easily applies and you don't have to sit there for several minutes to get the look you want! Eyelashes quickly volumize, lengthen, darken, and thicken upon application. The only negative comment I would have about this mascara is that if you aren't careful when applying it, it can clump lashes together easily. Despite this, I believe the product is well worth the money you will spend on it! I enjoy Dior makeup products along with all of their other products. It's a high end brand name so expect the price to be high but the product is worth the extra money. It's not too clumpy and it doesn't water down. It gives my eyelashes a long glamorous look. The mascara comes in a tube with the Dior logo on it. The brush is thick and fluffy for giving your lashes the thick look. It dries quickly and goes on smoothly. It does have some clumps but I add a couple of strokes to each eyelash and then brush away the clumps with a comb the help get rid of the clumps. It gives my eye lashes a dramatic look. Best for use for a night out for a girl's night out or a date night. I use the mascara with the Dior eye shadow. It is more expensive but it's a great combination. The pros of this product that it adds depth and length to your eyelashes. It is a high price but the product lasts a long time. It can make your eyes clumpy but use a brush in order to get rid of the clumps. I love all Dior makeup products. I can not live without the Dior Diorshow mascara. It is a must have in any makeup bag. I have tries almost all the mascaras out there trying to find one that I wasn't allergic too and that didn't irritate my eyes. This is it for those with sensitive eyes and skin. The Dior DiorShow Mascara really gives your lashes that extra volume and plump to make you look like you are wearing false lashes. I get so many compliments on how long and full my lashes are all the time when I am out wearing my Dior DiorShow Mascara. I have been wearing this for so many years and have never found a product better than this one. It also doesn't end up flaking off in the middle of the day. I have found that if I am going out at night I don't even need to freshen up my mascara because it still looks fresh and amazing from applying it in the morning. Performance Makes your lashes full and long. Ease of Application This has the best applicator brush of all time! I purchased this mascara on the recommendation of several friends. It was described to me as the best mascara they had ever used. I felt like the price was a little high, but for the best mascara ever I was willing to give it a try. I have been using the diorshow mascara now for three months and like the product, but don't really understand why so many people prefer it to drug store brands. It defined my lashes and did not clump. There is plenty of product in the tube as it has lasted me for over three months. I was using a covergirl lashblast product previously and did not notice any difference between the covergirl and dior mascaras. In the future I will be buying the less expensive product because I did not see the value of this particular luxury brand. I feel like my friends may have been influenced by the brand name dior and assumed it would be a superior product.